The collection of games on the casino include various categories which include table games, card games, slots games, and more. The casino offers a lot of fun with slot games so players who love this category can expect to be blown away. The games on the casino are easy to play either using the instant play version or the downloadable version. Customer support is also available round the clock with a jackpot meter on display. There is also a display to inform players of past winners of the jackpot. Most players, especially those new to online casino platforms, may find that there are a good number of games available on the Simba Games Casino. For veteran players, the collection of games pales in comparison to a lot of other online casinos with the only saving grace being the presence of various titles to meet the unique preferences of different players. On the list of games available, you will find developers like Barcrest, WMS, NetEnt, SkillOnNet, and more. As you become a regular player, the casino becomes a lot more enjoyable with promotions which come on a daily basis. This involves taking a spin on the wheel of fortune as soon as you login for a day. This randomizes the promotion bonuses which players can claim. The bonuses include flights, extra spins, TVs, cash bonuses and more. The number of options available for payment and withdrawal on the Simba Games Casino is quite high which makes it a ‘scattergun’ approach according to industry references. This is simply because while there are lots of methods, the number keeps increasing to an extent that it becomes too much for people to actually make use of all of them. Common methods of carrying out various banking transactions are available on the Simba Games casino and with multiple options in the form of payments using cards like Switch, Maestro, Visa, MasterCard, as well as Ukash, PayPal, Skrill, Paysafecard, and more. There is also the direct bank transfer option and then the other options which look new to a lot of players with the very little possibility of being used. Is Simba Games Casino suitable for everyone? If you are in search of a casino with great graphics with visuals which are pleasing to look at, then Simba Games Casino may not be the best in that regard. The level of creativity in certain features of the casino may also leave a lot to be desired making this a wrong choice for veteran players looking for casinos which can give them improvements to their gameplay experience. The wheel of fortune is the key feature which attracts players to the casino. 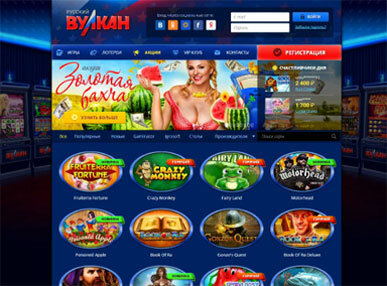 With this daily promotion which opens up new opportunities every day, gaming on this casino becomes a lot more fun.